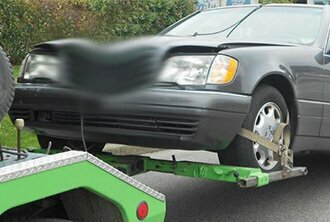 With Car Wrecker Adelaide, your car may have been deteriorating for years, and we’ll still buy & remove it for free. Maybe it broke down a few months ago, and it just isn’t worth the cost of repairs. Or, perhaps, it is just unwanted. 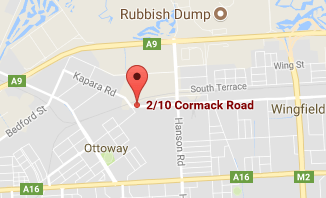 Regardless, when we are your wrecking company, you have the courtesy of our removal services in Adelaide at no cost. Car owners throughout Adelaide rely on Car Wreckers Adelaide every day to provide fast and courteous removals. We go a step further and allow our customers with a fast payment put right into their hands when they sell their cars to us. We are the removal company that lets you determine when you’d like us to remove your car, and we’ll be there at no cost to you. You may be going through hoops trying to get a fair cash price for your car with other removal companies. Perhaps, they don’t provide the services you require for the condition of your car or Truck. Or, perhaps, they charge for the services you require like dismantling and wrecking. At Car Wreckers Adelaide, we provide car owners with fair and accurate cash offers for the car of any make and condition and assure our services like complimentary services included in the car sales. Why Choose Car Wreckers Adelaide for My Car Removal? Different car owners have different reasons for choosing Car Wreckers Adelaide. Some listen to past customers who were satisfied with our cash payments and services. Some are looking for a ‘Local Car Removal’ and wrecking company they can trust. And, some just want the best cash offer that they can get for their cars. We are a car removal company that goes beyond the ordinary in the services we provide, our standards are high, and our services are an exception. When Car Wreckers Adelaide is your choice for a removal company, you have a team of top-notch professionals that are quick to provide you with removals. Our team is courteous and polite, and one that strives to make selling a car an experience that is pleasant. Receive a quote for your car by calling us over the phone or filling out our online form. When providing us with the details of your car be as descriptive of its condition as possible, so we have all the details to get you the most value. Schedule a free car removal in Adelaide wide. Car Wreckers Adelaide does not require that you go out of your way to fit time into the day to schedule a removal. We allow you to tell us when you have the time for us to come to buy & remove your car. Any further information can be obtained from the Department of Transport SA in relation to disposing of your vehicle. For more information on our services contact us at the number below. For a quick quote call the number below, or contact us online. Our easy to complete and submit Get a Quote form is located at the top right of this page. To learn more or discuss a price for your car, call us today on 0477 413 136!